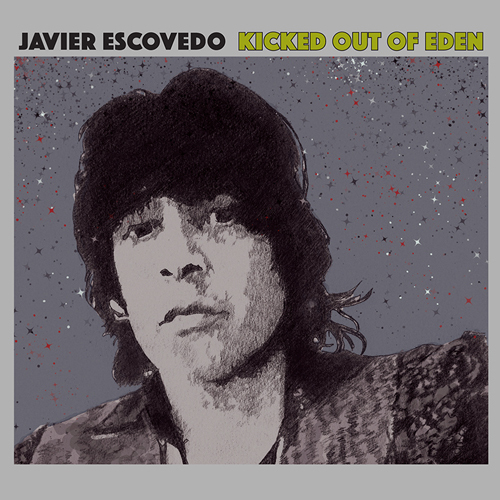 Saustex is pleased to present "Kicked Out of Eden" (catalog # SEX1510, street date 01/15/2016), the second solo release by Javier Escovedo, founding member of The Zeros and The True Believers and a pioneer of the ‘70s West Coast punk movement. 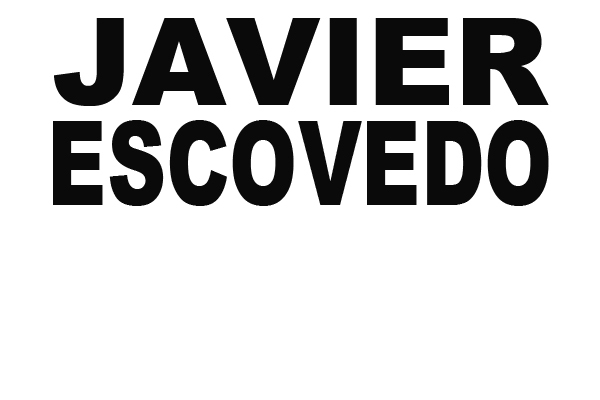 Arguably Javier is the greatest contributor to rock’n’roll of the storied Escovedo family that includes older brothers Pete and Coke Escovedo (Santana, Malo), niece Sheila E. (Prince) and of course brother Alejandro Escovedo (The Nuns, Rank & File, Buick McKane). The new album is pure pop inflected rock’n’roll that remains true to Javier’s love of ‘60s garage and ‘70s punk and glam. The album was recorded in 2015 and features great backing by Brad Rice (Keith Urban Band), Hector Muñoz and Cornbread (Billy Joe Shaver). "Kicked Out of Eden" is a must for folks who love great songs delivered with passion and punch. 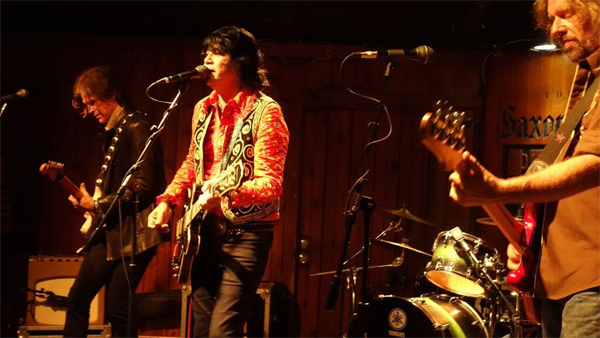 Javier Escovedo has an air of authentic cool that could never be feigned. As the founding member of The Zeros and The True Believers, he has encountered several obstacles in his life, but emerged as a pioneer of the ‘70s West Coast punk movement. In 2016 Escovedo continues his journey with the 2016 release of his second solo recording "Kicked Out of Eden" on Saustex Media. Escovedo’s love affair with music started at a very young age. Growing up in southern California, his family was bursting at the seams with musical talent, most notably older brothers Pete and Coke Escovedo, who have played with Santana and Malo, and niece Sheila E., who played with Prince among others. After being introduced to the guitar by a sister’s boyfriend, he picked up his father’s Spanish guitar and learned any songs he could master; from Freddy Fender’s “Rancho Grande” to the Standell's “Dirty Water.” After that, he lived and breathed the guitar; there was nothing he’d rather do. Baseball and mini bikes took the back seat and it was all guitar, guitar, guitar. Life, however, threw him some curveballs. As a teenager, Escovedo was heading down a self-destructive path, exacerbated by the age difference between he and his parents (father age 55, mother age 40 at the time of his birth), which left him with little to no supervision or guidance. At Chula Vista High School, he met his future wife Rhoda Lopez, whose brother just happened to play the guitar. Robert Lopez, Robert's cousin, drummer Baba Chenelle, and bassist Hector Penalosa soon became The Zeros. Influenced by artists like Lou Reed, David Bowie, Alice Cooper, T. Rex, Roxy Music, and especially New York Dolls, Escovedo’s tough punk songs came to life. “I knew I would never play like Mick Ronson or Jeff Beck, but I thought I might be able to play like Johnny Thunders,” Escovedo says. In 1977, The Zeros played their first major gig in Los Angeles at the Orpheum Theater with The Germs and The Weirdos. A meeting at the Orpheum with Greg Shaw's Bomp label led to the release of two ground- breaking singles. The group’s first full-length wouldn’t come until 1991, when they released Don’t Push Me Around (Bomp Records), a collection of rare and live tracks. Fast-forward to 2005 and The Zeros “Wild Weekend” was named one of 50 top punk songs of all time by MOJO Magazine. The group was given a Lifetime Achievement Award by the San Diego Music Awards, further validation of The Zeros’ contribution to punk music. In the ‘80s, Escovedo relocated to Austin, Texas to join his brother Alejandro in the True Believers, one of the catalysts for Austin’s “New Sincerity” movement, which paved the way for bands like Wilco and the Old 97s. Characterized by a shambolic rock sound, the term was used loosely for a collective of bands based in Austin from 1985 to 1990. With two now legendary songwriters in Alejandro and Jon Dee Graham, the True Believers played incendiary live shows that combined the guitar fury of Mott the Hoople with garage verve and a hint of twang, generating a loyal legion of fans that would show up in droves to support them. They eventually secured a deal with Rounder, then with EMI, resulting in 1986’s self-titled debut. Although it was critically acclaimed, it never attained much commercial success. A second album was shelved during a chaotic period at the label, creating frustration for the band, already amidst struggles with substance abuse. The True Believers began to dissolve and Escovedo decided to leave the group to focus on his solo career while his brother Alejandro pursued his own career. The ‘lost album’ finally emerged on Rykodisc in 1994. In 2000, Escovedo had a stint in rehab to finally kick his demons once and for all. An incredible 12 years passed before his first solo album would surface. Nonetheless, City Lights was released in 2012 and was a welcome return from the elusive artist. From the sarcastic musings of “See You Around” to the beautifully composed “The Music Keeps on Playin,” the album swells with classic pop sensibilities, flawless guitar riffs and Escovedo’s smooth but moving vocals. In February 2016, Escovedo unleashes "Kicked Out of Eden". The undeniable energy of album opener “Downtown” and the Sticky FIngers honky-tonk style of “It Ain’t Easy” usher in the nine-track effort while songs like “Searchin’ For You” and “Drivin’ Around” provide the perfect balance with their downtempo pace, making Kicked Out of Eden Escovedo’s most heartfelt and honest release to date.